Renown and glamour in unequalled style. 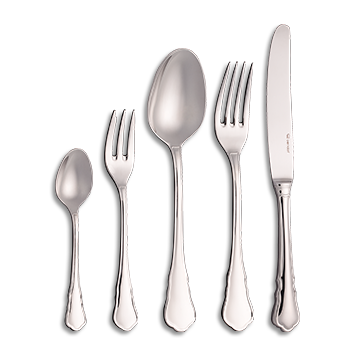 Royal Chippendale was designed towards the end of the 19th Century to reflect the Royal English style and embodies traditional, sophisticated British dinner culture like no other cutlery. An absolute must for all princes and princesses.